As with any life-changing expenditure, it’s a great idea to sit down first and see what makes financial sense. If your eyes glaze over when you hear the phrase “wedding budget,” you’re not alone. Even for the mathematically inclined, it’s difficult to know what kind of budget to set for an engagement ring. But it’s easier than you may think — and can result in a satisfying purchase when you finally decide on the perfect engagement ring. Immersing yourself in an evening of income vs. expenses now can save you immeasurable headaches later. It’s important to be sure you can afford a ring before committing to its purchase, especially as you begin your new life as a married couple combining finances. Fortunately, it isn’t too complicated to figure out how much you can afford to spend. 1. Collect records of all your income, including your take-home pay, interest on any investments and money you receive on a regular basis from any other source. Record all of these assets individually on our affordability calculator, a piece of paper or a computerized spreadsheet. Then estimate your variable expenses: what you spend at grocery stores and restaurants and for entertainment, gifts, gas, car repairs, savings and investments. Be careful not to underestimate the variable expenses. Combine all expenses for the entire year and then divide by 12. Record all of these expenses on your spreadsheet. 3. Compare expenses to income. If expenses are greater, see where you might be able to start cutting back so you can set aside some savings for the ring. If the income is greater, you’re in good shape. Start to allocate some or all of it to an engagement ring fund. 4. Include lines that list the value of your savings account and any investments so you can see their long-term growth (there are no guarantees to long-term growth, only hope! ), representing the buffer you have for large future purchases, a vacation like the honeymoon or unplanned expenses. If you have a savings account, decide how much of it you’d like to earmark for the engagement ring. If you plan to purchase the ring using credit or a combination of savings and credit, determine how much credit you can get and — more importantly — how much of it you are comfortable using. If you use credit to purchase an engagement ring, the payments probably will continue into the marriage. Ask your fiancée whether she is agreeable to that arrangement. Don’t assume she is. 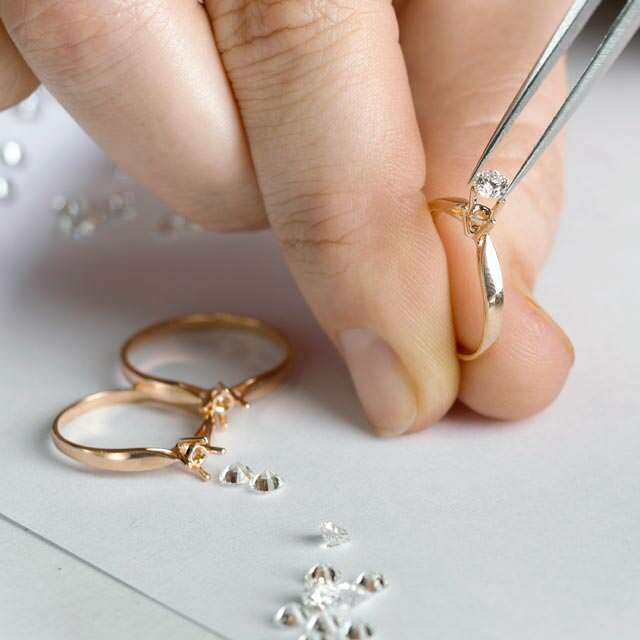 If you do plan to use credit for all or some of the engagement ring’s purchase price, check whether a credit program is available at your jewelry store. Many jewelers have programs with better rates and terms than what your credit card company offers, including “No Interest” plans that allow you to pay over time without interest, as long as you meet the conditions of the plan. Setting a budget goes beyond comparisons of income and expenses. You have to be comfortable with whatever amount you decide to spend, and what it will buy. Knowing what your bride-to-be’s expectations are will also help. Sure, this budgeting and then choosing the right ring for your budget does take a bit of the carefree romance out, but it sets you up for the future, near and far. And this engagement ring purchase is the first step in that journey. Ready to shop? 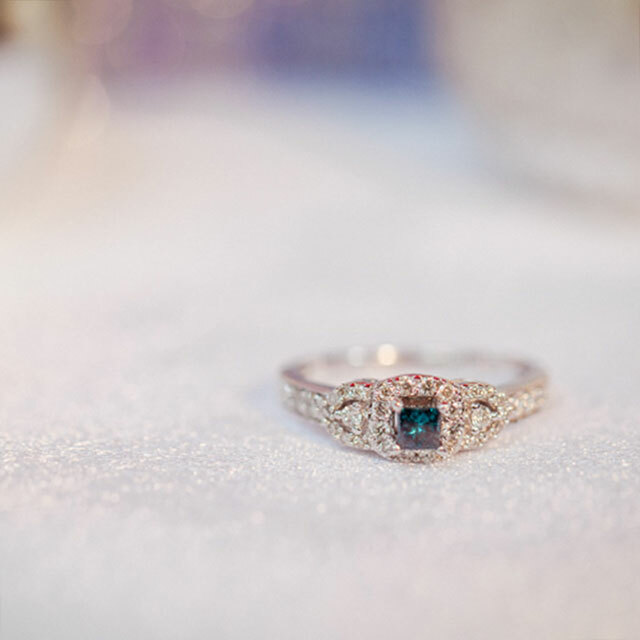 Kay Jewelers and Jared The Galleria Of Jewelry have a great selection of diamond engagement rings. Your engagement ring journey will present you with many paths to consider. Prepare for all the choices you’ll need to make along the way. The number of choices is massive when you consider a color gemstone engagement ring. Start with a “big idea” to begin to narrow down those choices.